In our Gospel lesson, Jesus teaches us to pray. Yes, He teaches us the words to what we call the Lord’s Prayer, but He also teaches us the right attitude with which to pray. Jesus tells us to pray with impudence, that is, with persistence and shamelessness. Jesus provides an illustration to teach this attitude of prayer. Which of you who has a friend will go to him at midnight and ask for three loaves of bread to set before a traveller that just arrived at your house? Who would do that? Who would bother their friend in the middle of the night for some bread? That’s pretty shameless. And on top of it, once the friend says no, who would keep on banging on the door? You’ve already bothered him in the middle of the night, and now he says, “No, keep quiet. I’m in bed. The children are in bed. The baby finally fell asleep. I can’t get up to give you some bread at this hour.” Who would keep banging on the door and ringing the doorbell? Who would keep knocking and asking for bread in the middle of the night so shamelessly? It’s embarrassing enough to go to your friend in the first place at such an hour and then to impudently, persistently continue to ask, that’s just shameless. The thing is you wouldn’t do that to a friend. But if you did, he would not get up because he’s your friend. Jesus says he would get up because of your persistence and shamelessness. He’d get up and give you whatever you need because you won’t leave him alone. Your friend will give you what you need because he wants you to stop banging on his door in the middle of the night. Jesus says that is the attitude with which we should pray to God – the attitude of persistence: praying without ceasing (cf. I Thess. 5:16). If you don’t receive that for which you pray, keep praying. Shamelessly continue to pray to God that He would give you what you need. We can pray to God persistently and shamelessly, because when we pray to God, we are not praying to Him as to a friend. We are praying to our Father as His sons – and not just as any sons, but when we pray in Jesus’ name, we are praying as the Son; we pray as Jesus. We don’t pray in our own name; we pray in Jesus’ name. If we prayed in our own name, God would have no reason to answer us. We have sinned against Him in thought, word, and deed, by what we have done and what we have left undone. We have not loved Him with our whole heart. We have not loved our neighbours as ourselves. We justly deserve His present and eternal punishment, not to have our prayers answered. What then about the prayers being offered up by God’s children who are suffering? Those prayers from nursing home beds and hospital beds? Those prayers from cancer wards and palliative care? What about their loved ones crying to God on their knees for healing and recovery? What about those who cried out to God for help but He did not answer them in the way they thought He should? The answer for this is not to be found in the attitude of impudence that we should have in prayer. If impudence were the only attitude for prayer, we would have to conclude that whenever God does not answer our prayers, it is only because we didn’t pray hard enough or often enough or long enough. We’d have to conclude that God is the reluctant friend who we have to pester until he finally gets out of bed to give us what we need. But that is not what Jesus says. God is not reluctant to help us. God does not ignore our pleas until we finally have bothered him enough. This is where the second attitude of prayer comes in – the attitude of trust – trusting that God knows what is best for us, and that He will give it to us. God is not going to give us anything that will harm us or be bad for us. He is not the father who gives his son a serpent when he asks for a fish. He is not the father who gives his son a scorpion when he asks for an egg. What sinful, earthly father would even do that? If even sinful fathers know how to give good gifts to their children, do you think God our heavenly Father will do worse? God will never give His children anything that will harm us or be bad for us. That is His promise to us. We may not see or understand. What we see and understand is clouded by sin. We see illness; God sees the strengthening of faith through illness. We see need; God sees the increase of patience and contentment. We see the death of a loved one; God sees the opening of the gates of heaven to our loved one. God will never give His children anything that will harm us or be bad for us. The Epistle to the Romans puts it this way, “He who did not spare his own Son but gave him up for us all, how will he not also with him graciously give us all things?” (8:32) If God gave you the greatest gift of all, sending His only Son to die in your place for your sins, do you think that He will withhold lesser things from you? You think He gave you the greatest gifts ever and now He’s being stingy? No, dear friends in Christ, God is not withholding anything good from you. He is giving you what He knows is best for you, whether you see it or not; whether you understand it or not. He has given you the forgiveness of sins because of Jesus’ death for you, and He gives you the promise that just as Jesus was raised from the dead, so you too will rise to eternal life. If God has given this wonderful gift to you, you know that everything that He gives to you is for your eternal good. God will answer the prayers of His children praying for healing and recovery, even if it is not on this side of heaven. Jesus suffered and died so that we will not suffer or die in the life to come. Our suffering will end. Our prayers will be answered in the way and at the time God knows to be best. Which savours now of bitterness, I take it without shrinking. What did Martha do that was so wrong? When Jesus had sent out the twelve apostles and the seventy-two apostles, He had told them that He would take care of them through those who received their ministry. Jesus had told them not to take any provisions including food for their journeys, since He would provide for them, as those who heard their preaching would welcome the apostles into their homes and show them hospitality (Luke 9:3-4; 10:4-7). Jesus said about Himself, “Foxes have holes, and birds of the air have nests, but the Son of Man has nowhere to lay His head.” (Luke 9:58) Jesus had no home of His own, so He received hospitality from others, just as the apostles did when Jesus sent them. So what did Martha do that was so wrong? Martha welcomed Jesus into her home. She provided hospitality to Jesus. She provided the daily needs of one preaching the Good News of the kingdom of God as Jesus had taught her to do. And this wasn’t just one of the apostles, it was Jesus Himself – the great Teacher of teachers; Lord of lords; God in the flesh. Of course she was distracted by much serving. She was going to do her best and give Jesus her best. How could she not? She wasn’t going to serve Him yesterday’s leftovers! She was going to go all out and serve Jesus as well as she could. Martha was not wrong to serve Jesus. It was not a bad thing that she prepared a meal for Jesus to eat or that she showed Him hospitality. Martha went wrong in her priorities. She went wrong in not realizing who was serving whom. She didn’t realize that more important than her serving Jesus, was Jesus serving her. Martha was distracted by much serving. She was anxious and troubled by many things, but she was neglecting the most important thing – listening to Jesus’ Word. She had the very words of Jesus being spoken in her very house and she wouldn’t sit to listen but busied herself in the kitchen with much serving. She was so worried about everything being perfect that she neglected the one most important thing – hearing God’s Word. She was so anxious about serving everything just right that she would not let Jesus serve her. That’s where Martha went wrong. That is also where we often go wrong. We get so busy with life, it’s easy to skip on hearing God’s Word. There are always pressing matters in life. There is always work to be done. There is always something that demands our attention. Here we’re not even talking about doing something selfish. We’re talking about working for your family or serving others in need. There are always tons of demands on us and so many ways we can serve our neighbour, but we should not forget the one thing needful. It’s hard to switch off this mentality even when we come to Divine Service. It’s easy to still be in service mode, thinking we are here to serve God and serve our neighbour. Are we distracted with much serving? Are we anxious and troubled about many things? Do we think it is more important for us to serve God than it is for Him to serve us? Is serving on the altar guild or as an usher distracting you from hearing God’s Word? Is counting offering taking you right out of the Divine Service? Just as with Martha, these are not bad things to be doing. They are good things and they do serve God and your neighbour. But if they are distracting you from the one thing needful – the hearing of God’s Word, then stop. If they are making you anxious so that you cannot hear the Word of God; if they are taking you away from God’s Word altogether, then stop. Be like Mary. Sit at the feet of Jesus hearing His Word even as Martha runs around fretting and worrying and being distracted with much serving. I’m not trying to get you to quit whatever ways you are serving God and your neighbour. In fact, we can often use more helpers rather than less. But remember who is serving whom. This is called the Divine Service because God is serving us, not because we are serving Him. More important than you serving Jesus is Jesus serving you. After all, what can you give to God? How can you serve Him? Give Him offerings? Sure, but all that you have is already His. Give Him praise? Sure, but the angels, archangels, and all the company of heaven are praising Him better than you can. Give Him your heart? “The heart is a rusty old can on a junk heap. A fine birthday gift indeed!” is the way one Lutheran pastor put it in a book (Bo Giertz, The Hammer of God). Jesus says, “Out of the heart come evil thoughts, murder, adultery, sexual immorality, theft, false witness, slander.” (Matt. 15:19) Our hearts are steeped in sin and they are indeed no gift fit to give to God. God, on the other hand, has great and wonderful ways to serve you. He has washed your dirty, sinful heart and forgiven you all your sins in Baptism. He proclaims you absolved and forgiven through Absolution. He gives you His very body and blood to eat and drink to forgive you your sins and strengthen your faith. Only one thing is necessary, Jesus says, and it will not be taken away from you. Your Baptism will not wear off like an entrance stamp at the hockey arena. Absolution will not stop declaring you holy and forgiven. It stands for eternity because God’s Word is eternal. Jesus’ body and blood can never be taken away from you, but they course through your veins claiming you for eternal life. Do not be anxious and troubled about many things. Yes, it is in fact a sin to be anxious and troubled. Instead let Jesus serve you and melt away your anxiety and your troubles. Let the busyness of the world go by as you rest in the arms of your Saviour from sin, death, and the devil. Remember who is serving whom. More important than you serving Jesus is Jesus serving you. Amen. Dear people with bound up wounds: Grace, mercy, and peace to you from God the Father and our Lord and Saviour Jesus Christ. Amen. If you want to know what to do to inherit eternal life, the lawyer from our Gospel lesson and Jesus give you the answer. “You shall love the Lord your God with all your heart and with all your soul and with all your strength and with all your mind, and your neighbour as yourself.” If you want to do something to inherit eternal life, this is it. If you fulfil these commandments, you will earn yourself eternal life. Our reaction to hearing this is often similar to that of the lawyer. We desire to justify ourselves. In other words, we seek to redefine terms in order to argue that we have kept these commandments. We ask, “And who is my neighbour? I live on the end of a street so I’m OK on one side, and the guy on the other side is always gone, so I don’t have any neighbours to love. See, commandment fulfilled. My co-worker is not very neighbourly towards me, so he’s not my neighbour, and I don’t even know that needy family, so no, I don’t have any neighbours to love.” That’s what justifying yourself sounds like. Just redefine the word neighbour. Give it new meaning and say that you’ve kept the commandment. This works similarly when it comes to the command to love the Lord our God with all our heart, soul, strength, and mind. “I think God is pretty important. I go to church every once in a while. I don’t have any idol statues in my house, and I do have a cross on the wall. Yeah, I’m OK here, too.” That’s what justifying yourself sounds like. Just redefine what it means to love God. Give it new meaning and say that you’ve kept the commandment. The thing with the Law of God is that it points out our sin, and that’s never fun. We want to weasel our way out of its accusations instead of admitting guilt. We want to justify ourselves and redefine God’s Law so that it won’t accuse us anymore. What is a neighbour? When does life begin? What is male? What is female? What is love? What is marriage? Let’s just redefine everything and we can do whatever we want. Have you really fulfilled the commandments to love God and your neighbour? To fulfil the commandment to love God means that in everything you do, pleasing God is your only concern. It means you would never skip the Divine Service because you never have anything better to do than to hear God’s Word and receive His gifts. It means that you would dig into God’s Word first thing when you wake up and last thing before you go to sleep so that it would guide your thoughts throughout the day and give you peace at the end of the day. It means that you would know God’s Word front to back because you would love and treasure the only communication you have from God to you. To fulfil the commandment of loving your neighbour as yourself doesn’t mean you give a needy person a loonie out of your pocket or donate a couple of nearly expire cans of food to the food bank. It means that you hold as equal to yours the needs of your neighbour, that is, anyone who is close enough for you to help; anyone in your life that could use your assistance; anyone that God puts in your life. So if we look at the parable of the Good Samaritan, it means that you go out of your way to help your enemy (the Jews and Samaritans were enemies, after all). You bind up his wounds no matter how disgusting they are. You put him in your car even though he’s bleeding all over it, and take him to a hotel. You pay for his room for as long as he needs to recover, and just in case, leave your credit card at the front desk in case anything more is needed. You pay for his doctor because he doesn’t have medical insurance and you take a second mortgage on your house to pay for it. That’s what it means to love your neighbour as yourself. So if you hear Jesus say, “Go, and do likewise” and think that you can do it, that’s what it means. This is Jesus’ answer to someone who desires to justify himself. If you think you can fulfil the Law of God, Jesus shows you that you cannot even come close. He closes the loopholes you want to open, and shuts down your attempts to weasel out of God’s commandments by trying to redefine terms. The reason why Jesus does this, is so that you would see that there is more to the parable of the Good Samaritan than the command to love God with your whole heart and your neighbour as yourself. Yes, you are commanded to love God with your whole heart and your neighbour as yourself, and these are good things which you must endeavour to do to the best of your abilities, but there is more to the parable of the Good Samaritan. The parable of the Good Samaritan is to show you that you are the man left for dead by robbers. The devil, the world, and your sinful flesh have attacked you and robbed you of innocence. They’ve robbed you of purity, righteousness, and love. You are incapable of helping yourself or saving yourself. Trying harder won’t work. Excusing sin won’t cut it. Redefining terms won’t help. You cannot bind the wounds of your sin by promises to do better. You cannot heal yourself by pretending you’re OK. You need the Good Samaritan to save you. The Good Samaritan can be no one except Jesus. Only Jesus has compassion on you to the point that He would leave the perfection of heaven to come as a foreigner to our sin-polluted world even though we showed Him nothing but hatred. Only Jesus washes our wounds of sin through the waters of Holy Baptism, as He did for Kylee this morning. Only Jesus nourishes us to health with His body and blood like He will do again this morning. Jesus does this for us because He did what we could not do. He loved God with all His heart, soul, strength, and mind. Jesus loved His neighbour as Himself. Despite perfectly fulfilling God’s Law, He suffered at our hands and because of our sins. All our sins were put on Him and He suffered the wrath of God for all sin in our place. Thus Jesus earned us forgiveness. He did what we could not do to earn us eternal life. That’s why the Bible speaks of eternal life as an inheritance. An inheritance isn’t something you can earn. An inheritance isn’t something that is given to you because of what you’ve done. An inheritance is something that you get because of who you are. You receive the inheritance of eternal life because you are God’s child, washed in the waters of Holy Baptism, absolved by His Word, and forgiven and strengthened by the body and blood of Jesus. The Good Samaritan in the parable said to the innkeeper, “Take care of him, and whatever more you spend, I will repay you when I come back.” So Jesus, your Good Samaritan, has left you to be taken care of in the inn of His Church. He is still today washing away sin through Holy Baptism. 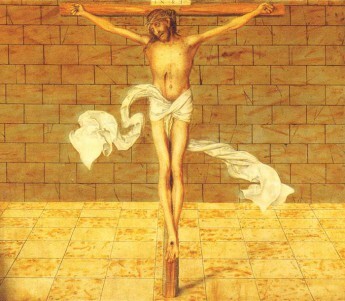 He is still today forgiving you your sins in Absolution. He is still today forgiving you your sins and strengthening your faith through His Holy Supper. And He says that He is coming back. He has left you to be taken care of, but He will return. He will return and give you the inheritance prepared for you from the foundation of the world (Matt. 25:34). This eternal inheritance isn’t yours because of what you have done, but is yours because of what Jesus, your Good Samaritan, has done for you. This eternal inheritance isn’t yours because of what you have done, but it is yours because of who you are, baptized into Christ Jesus. Amen. “The harvest is plentiful, but the labourers are few. Therefore pray earnestly to the Lord of the harvest to send out labourers into His harvest.” The kingdom of God is discussed as a harvest, similar to the parable of the sower. We are told the harvest is great; there is much harvest that needs to be gathered. However, the labourers are few. There are few who have been sent by the Lord of the harvest to labour to bring in the Lord’s harvest. Thus, Jesus instructs us to pray to the Lord of the harvest so that He would send labourers into His harvest. This is one specific request for which Jesus has told us to pray. We have clear instructions that this is according to God’s will and that we should pray for it. If Jesus Himself has told us to pray for this very thing, do you not think God will answer this prayer? We have our answer in the text. No sooner had Jesus given this instruction to pray that God would send out more labourers, than He immediately sent the seventy-two to work in His harvest. He sent the labourers even before anyone had a chance to pray that He would send more labourers. Jesus says, “Therefore pray earnestly to the Lord of the harvest to send out labourers into His harvest. Go…” His very next word to the seventy-two is “go.” Jesus is already answering the prayer that He tells us to pray. So don’t get the impression that the harvest is out of control. Don’t get the impression that labour shortages will prevent God’s kingdom from coming. Don’t get the impression that the harvest is up to us – as if the harvest is ours; as if the labourers are ours; or as if the kingdom of God will only come through our prayers (SC II.2). This is not just some random harvest Jesus is talking about. He says it is the Lord’s harvest. More than that, He is the Lord of the harvest. Even further, He sends labourers into His harvest. The harvest is His. The labourers are His. The results are His. See, when it comes to His kingdom and His promises, Jesus is all about certainty. He will not leave anything to chance. Jesus sends His ministers with His Word into His harvest to bring about His kingdom. He gets rid of all the uncertainty by giving us His promises, and by giving us real physical elements combined with His Word that make His kingdom certain among us. Jesus has given us Baptism which has the physical element of water that is physically poured over the head as one is baptized in the name of the Father, and of the Son, and of the Holy Spirit (Matt. 28:18-19; Mark 16:16; I Peter 3:21). There remains no uncertainty after Baptism. No one needs to wonder whether they are truly baptized or not once it has taken place. All the promises of Baptism are given in Baptism and there can be no doubt that those promises are for you since you were baptized into Christ (Rom. 6:3-5; Gal. 3:27; Titus 3:5). Jesus has given us the Sacrament of the Altar which has the physical elements of bread and wine that are physically received in the mouth along with Christ’s own Words of Institution which tell us that we receive His true body and blood for the forgiveness of sins (Matt. 26:26-28; Mark 14:22-24; Luke 22:19-20; I Cor. 11:23-25). There remains no uncertainty with the Lord’s Supper. No one needs to wonder if their sins are truly forgiven after receiving the Lord’s Supper. All the promises of the Lord’s Supper are given in Jesus’ true body and blood and there can be no doubt that these promises are for you since you yourself receive Jesus’ body and blood. Uncertainty arises only when the institutions of Christ are not followed, such as when one is not baptized in the name of the Father and of the Son and of the Holy Spirit or when an element other than Christ’s mandated element of water is used. Trying to be innovative and creative, some people, instead of baptizing in God’s triune name, baptize with characteristics or descriptions of God. They might say, “I baptize you in the name of the Creator, Liberator, and Sustainer” instead of what Jesus commanded. Others want to use other elements, such as rose petals, instead of water for Baptism. As ridiculous as this sounds, I’m not making this up! Such novelties remove all the certainty of Baptism as they do not follow the institution of Christ. Uncertainty arises also when the institution of Christ is not followed with respect to the Lord’s Supper. If bread is replaced with some other element or if wine is replaced with some other element, all certainty is lost in the Lord’s Supper since these are not following the institution of Christ. Some church bodies use crackers and grape juice, but they do not believe that Jesus true body and blood are present anyway, so not only do they not have certainty, they outright deny the very Words of Christ. Uncertainty is also introduced in the Sacrament of the Altar if one who is not sent by the Lord of the harvest presides over it. That’s why the church ordains men to carry out the functions of the pastoral office once they have been tested and examined and legitimately called by God through the church. It’s all about certainty so that you know that you receive what Christ has promised you receive. If you have someone who is not a pastor, or a woman who claims to be a pastor even though the Lord of the harvest has specifically excluded her from the role, you have no certainty as to what you receive since you are not following the institution of Christ. Rest assured, this has nothing to do with the character or the person of the pastor himself. A pastor is just another sinful man, but God takes this sinful man and calls him through the church to be a labourer in His harvest to speak His Word and give out His gifts. That’s why all of God’s gifts are certain – they don’t depend on your pastor, but on the Word and institution of God. Without God calling pastors through the church, you would simply have chaos in the church. You would have self-appointed pastors who want to teach their own ideas instead of the Word of God and gain followers for themselves and their own earthly gain. It would be like someone hopping a farmer’s fence and starting to harvest the farmer’s crops without the authorization of the farmer. Since they are the farmer’s crops, it is his harvest, and he sends his labourers to gather in his harvest for him. In the church, this is for the sake of good order as it is on the farm, but even more, it is the institution of the Lord of the harvest; it is for your certainty, so that you know what you receive. The Lord of the harvest is so adamant about the certainty of your salvation, that He has also given you His sure and certain Word. Heaven and earth will pass away, but God’s Word will not pass away (Luke 21:33). He has given you His Word, so that you can recognize truth from error, and also recognize the labourers the Lord of the harvest has sent from the false teachers with which the world is filled. The Word of God is what is sure and certain, and it is your responsibility to compare what your pastor preaches to what God says in His Word. This protects you from following false teachers or from being misled into false doctrine. The Lord of the harvest sends His labourers into His harvest. We pray that He would send them, and He answers our prayer before it is even uttered. God gives His sure and certain gifts through His labourers so that you are sure and certain that you receive what God has promised you receive – the forgiveness of sins. And the Lord of the harvest has given you His Word which leads and guides you in His truth to life everlasting. Amen.